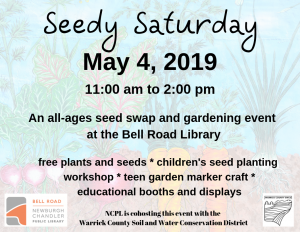 The Newburgh Chandler Public Library will host an all-ages gardening event on Saturday, May 4, from 11 am to 2 pm at the Bell Road Library. The Warrick County Soil and Water Conservation District is co-hosting the event. 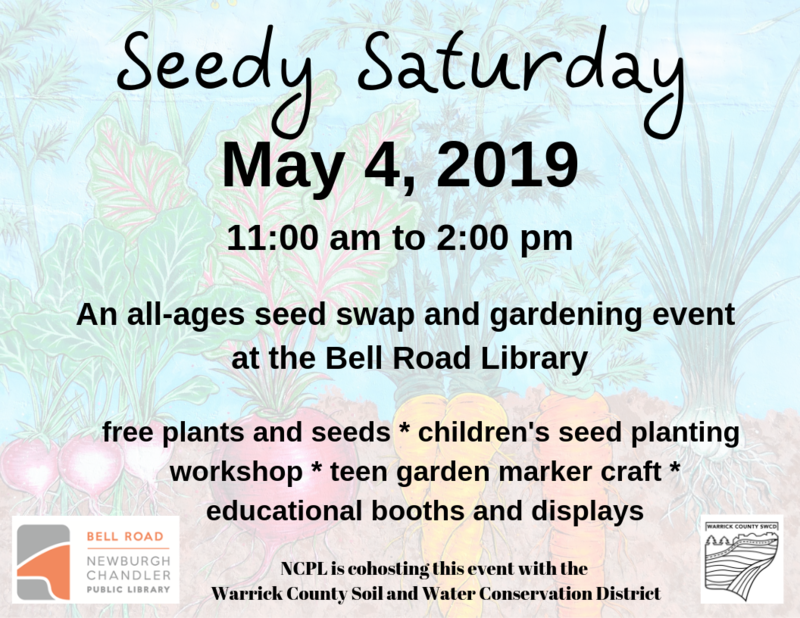 Activities include an heirloom seed swap, herb and vegetable plant giveaways, seed giveaways, kids’ seed planting workshop, teen garden marker craft, and educational booths and displays. The Warrick County Soil and Water Conservation District will provide information about soil testing, rain gardens, rain barrels, native planting, and other conservation opportunities. The Newburgh Garden Club will be there to answer questions about vegetable gardening.